Note: No alcoholic beverage consumption permitted on school property – Drug-Free Zone. 6:00am - Parking lot, packet pick-up and day of registration open. 6:45am - Begin staging riders at West exit according to pace. 7:10am - Playing of the National Anthem along with final rider instructions to be given. 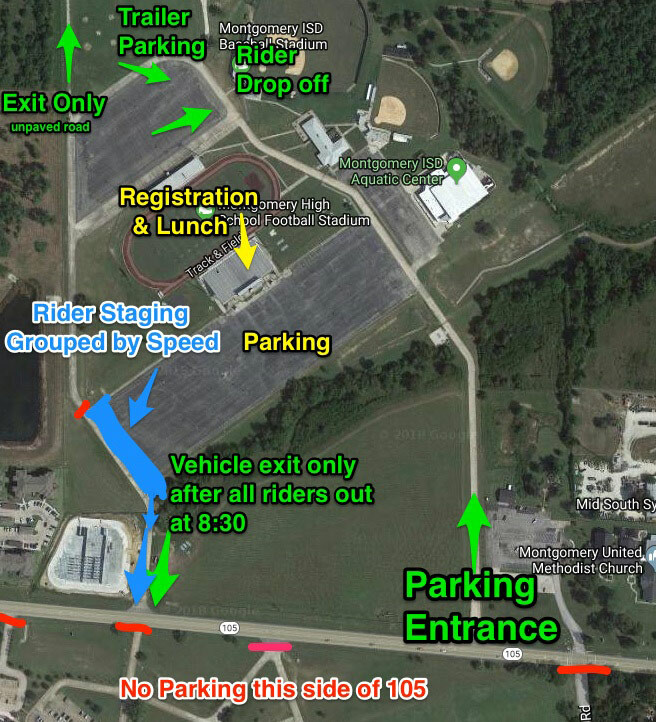 8:30am - Parking lot, Ride Day Registration and Packet Pick-up area closed. All riders should be on the course. Lunch provided by Huti's 5 Free Fire Grill.